It’s taken the majority of my 20’s to realise that feeling beautiful, for me, is about feeling healthy. Over the last year particularly, I have been more focussed on beauty in a wellbeing sense. My day to day beauty basics are just that, basic! I thought I would share my sustainable choices that help me to stay healthy and happy, and to feel GOOD. South West people listen up... let me introduce you to YOKE. I was introduced to Jo, owner of YOKE, by a friend. Jo and Steve recently returned from Australia, after years of research and practice in sustainable hairdressing. I can’t tell you how excited I was to get to know Jo and to hear about her project. I have hated having my hair cut ever since I can remember, but my mum always firmly itterated that healthy, freshly cut hair is a routine you should prioritise. I’ve got a curly, wild and unruly mop and having a trim fills me with fear. I don’t fit the plasticy, spruced up, salon stereotype (does anyone else feel frumpy in a salon??) and I just find the whole experience uncomfortable. Things changed when YOKE opened just down the road! “Trying to be sustainable when it comes to your hair comes down to a few things but the main contributing factor is the frequency in which you wash it. Washing and styling our hair involves a number of energy drainers: water, electricity to heat the water, the use of products, and the electricity you need to dry and style your hair - as well as the energy needed to launder your towel. If you could manage to go 2-3 days between washes you'd be making a big difference! Try experimenting with a few easy hair up styles that you can rock when you are between washes. Braids are perfect for this as it gets your mane out of the way and you can completely ignore it for the rest of the day and look super 'on-trend'. My go too look is achieved by parting the hair from forehead to nape, then creating 2 simple braids either side and tieing with elastics. I then pull the plaits out a little and gently pin around my head, taking a little bit of time to hide the ends and pull out a few strands to soften. Exercise is another way I can make myself feel good. I was so happy to hear that Jo is also a Yoga instructor and plans to deliver some small, intimate classes at YOKE. Getting blood moving around your body, and stretching tired muscles is enough to give you a healthy glow! Water consumption goes hand in hand with exercise. I’ve upped my water intake by double in the last year, in an attempt to keep my skin feeling smooth and hydrated. I have to say, I have felt the difference! Drinking plenty has also given me energy when I felt like all was lost! When it comes to beauty products, I really hate to put anything on my skin that isn’t 100% natural. I have been prone to bouts of eczema when i’m feeling under the weather or a little stressed - scented products panic me! 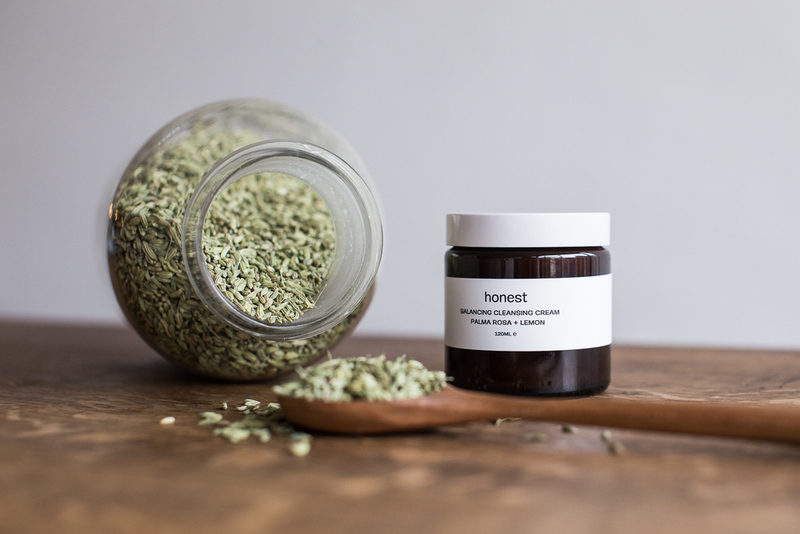 I recently made my first order with Honest Skincare, after being gifted some bath salts at Christmas. I’m loving their gentle Shea + Mandarin body lotion and i’m already floating a basket of other items! Honest believe that there's no need to pack products full of synthetic ingredients when a few, carefully chosen, natural ones are far more effective. They lovingly craft each product by hand so they know exactly what goes into everything they make. Nature has provided all we need to nourish, restore, protect and heal, so they only use 100% pure ingredients with powerful properties to take care of your skin. My top natural beauty accessory would be a muslin cloth. I use these like towels for face washing, for makeup removal, or to sniff essential oils from when i’m feeling tired or poorly. They wash well and save the earth too. I have a mix of both large muslins towels, and small muslin face cloths from Liz Earle. If you’re feeling creative, then you could try making some of your own products too. My lovely friend Leah gifted me this amazing natural recipe book - ‘Clean Beauty’. So far I have attempted some hair care products and concoctions for bathing in. Knowing exactly what you’re soaking in makes all the difference to a relaxing bath! I’ve found that less is more when it comes to products. I’ve cleared out my make-up bag and now have just the bare essentials from Green People cosmetics, you can see my favourite Green People products here. I made myself a cosmetics pouch and started fresh and it feels great! One thing i’ve learnt is that beauty comes from the inside, and so the inside is great place to start.